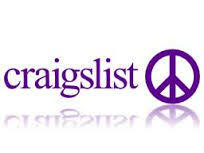 Houses & Homes VA: Do you still use Craigslist? Do you still use Craigslist? To be honest I never quite understood the “psychology” of CL. It never made sense to me that the service was free to all except for realtors and other select service providers. When did being a real estate agent become a bad thing? Every time that I attempted to post a listing in the past I felt as if I were doing something illegal. You’ve probably tried all of the tricks before too, right? Multiple accounts, a VPN to hide your true IP address, never posting the same ad twice; the list goes on and on and none of them worked very well in the end. I wonder if you still use CL to advertise your particular product or service. Even after all the ups and downs I’ve experienced with CL I do still use it to advertise various listings but to be honest, not much has changed. I follow every rule that CL requires and I still have most of my ads deleted! Why? I believe that they simply don’t like me. I can’t remember specifically what I did to Craig to make him so vindictive but it must have been serious. Perhaps I spilled a drink on him at a party or insulted him in some horrible fashion. If I knew what it was I would certainly apologize. The same holds true for Craigslist today as it did back in the day when you could actually include a link to your website as part of the advertisement. Some ads remain viewable while many simply “do not go gentle into that good night”. The results on CL are still excellent however. If you manage to keep an ad “live” long enough to get some attention it is still worthy of your efforts. Good luck.